This is pretty towel suitable for dry hands or face. It is made by its author Neide Carneiro in powder shades. 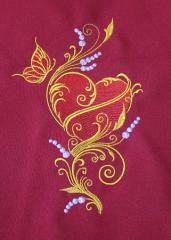 Color scheme of embroidery sample used for its decorated was also chosen in frameworkds of this idea. 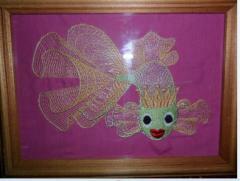 So sample for this work piece is Gold fish free embroidery design 2. Pictures with sea theme are especially good for bathroom. This is cool embroidered set which shows how many interesting and absolutely different work piece you can make with only one embroidery sample. 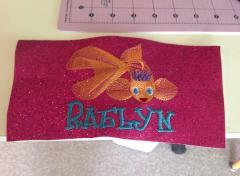 For this example author used Gold fish free embroidery design 2 and executed it in different color scheme suitable by main background. You may see visually what amazing effect she got. Their author is Marlene Smith from USA. Author: Barbara Touchton Price (USA) Download Gold fish free machine embroidery design 2 For embroidery you will need: Embroidery machine A piece of fabric for embroidery Embroidery stabilizer: Cut-away (Cut-Away Plus, Fuse'n'Stich, Soft'n'Sheer Extra from Sulky of America) dhesive paper (manufactured by Gunold) is recommended, Threads for embroidery of the desired color (Robison Anton RAYON No. 40), The lower thread for embroidery in fabric color (AMMAN BELFIL-C No. 120), Thick threads for jeans in the stitch color (MADEIRA Aerofil No. 35), Needles for the sewing machine of the corresponding thickness with denim sharpening (SCHMETZ JEANS), Needle for embroidery (SCHMETZ Embroidery №90). 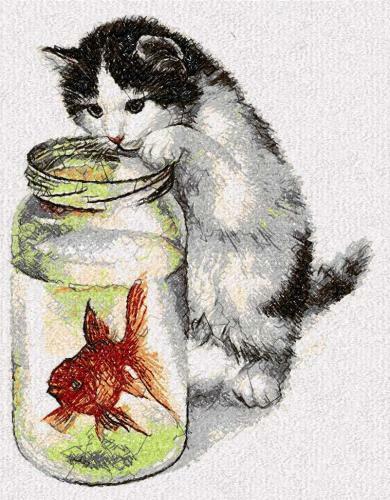 Aurhor: Lori Smith This design available here Gold fish free machine embroidery design 2 How to make embroidery on knitwear? 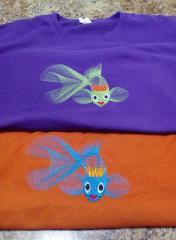 To perform high-quality and beautiful embroidery on knitwear, we need: Knitted fabric of any composition. I cut out a new knitted blouse, on which we will do embroidery. 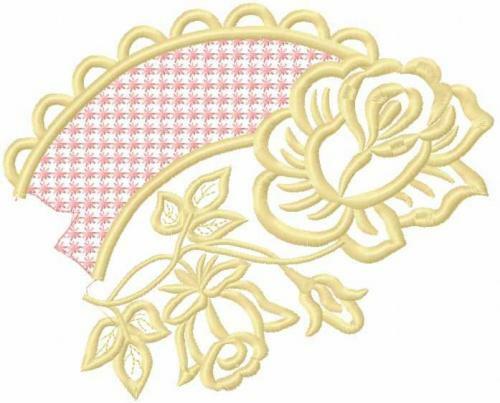 · Stabilizer for embroidery. 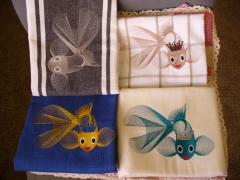 We recommend using detachable non-woven fabric STIFFY (manufactured by Gunold) or COTTON SOFT (manufactured by Madeira). If you are using non-adhesive non-woven fabric, you will need KK 100 temporary gluing glue (manufactured by Gunold). For embroidery on knitted knitwear it is better to use glue interlining or glue stabilizer FILMOPLAST (a stabilizer is tucked into the hoop and the embroidery fabric is glued to this stabilizer). · Water-soluble stabilizer AVALON FILM (manufacturer Madeira). 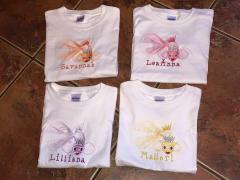 · Threads for embroidery of the desired color from 100% viscose, so that the embroidery is soft (Madeira RAYON No. 40). 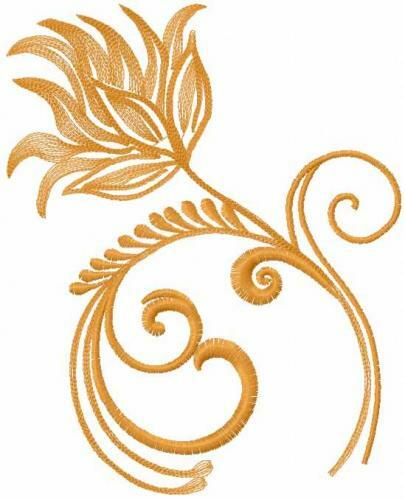 · The lower thread for machine embroidery in fabric color (AMMAN BELFIL-C No. 120). 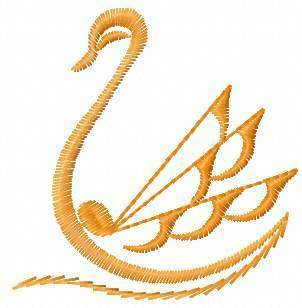 · For embroidery machine knitting needles (SCHMETZ Stretch), the number of needles depends on the thickness of the fabric and thread. 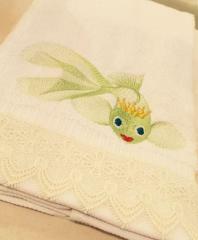 This is the nice soft towel made of green terry fabric. 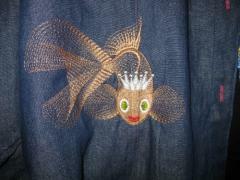 Its main decoration is Flying fairy with magic wand embroidery design. It is the funny picture of little girl who is just learning the wisdom of magic. She is executed in special manner so she looks like painted with thin black pencil. The main color of the girl’s figure is blue with some accents on her head and magic wand. This embroidery is splendid example of practical executing of complex and beautiful sample. 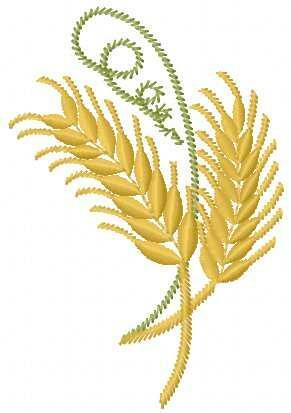 It is Gold heart free embroidery design. This picture includes just two main colors and one of them is identical for background’s shade. This original technique gives this work piece incredible depth and accuracy. Just look at it and try to compare with original sample placed on light background.